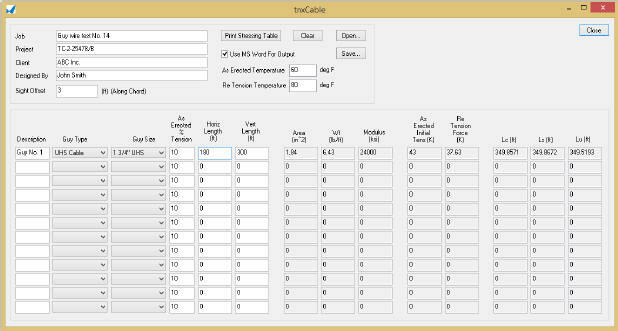 tnxCable calculates cable tension changes due to temperature differences. The program will also calculate the tangent intercept distance that may be used to determine the tension in a guy wire (refer to ANSI/TIA-222-G, Annex K: Measuring Guy Tensions, Section B). tnxCable is an add-on to tnxTower. It requires that tnxTower be installed in the same directory. © 2019 Tower Numerics Inc. All rights reserved.